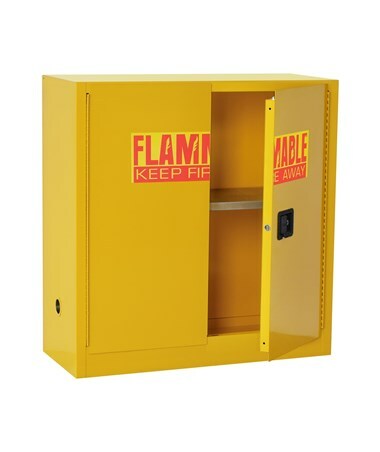 The Sandusky Lee 2-Door Flammable Safety Cabinet is a steel cabinet with standard double manual close door design and is made for safely keeping flammable liquids and other materials. 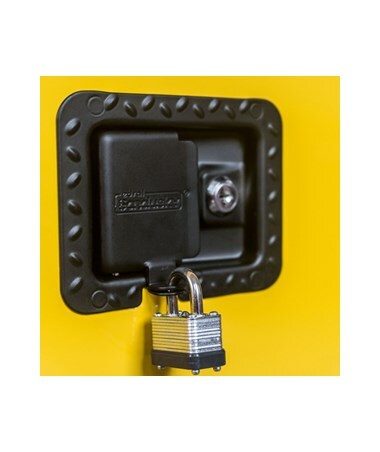 The doors have a recessed handle with keyed lock and a padlock hasp. 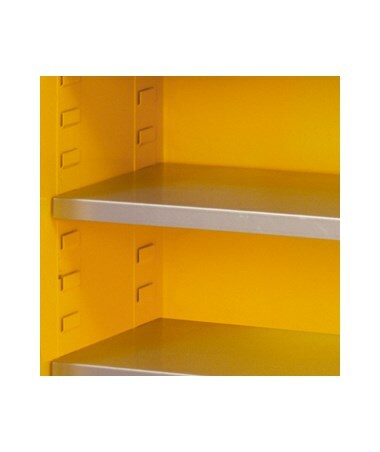 Galvanized shelves that adjust on 2 ½-inch centers are included and each shelf has a weight capacity of 500 lbs. Adjustable leveling feet are also included to help level the cabinet on any surface. This safety cabinet has a 2-inch high leak proof door sill that contains spills. It also features a 1 ½-inch air space and dual 2-inch capped vents with flash arrestors for external exhaust. It comes in different sizes that can fit 30, 45, or 60 gallons. 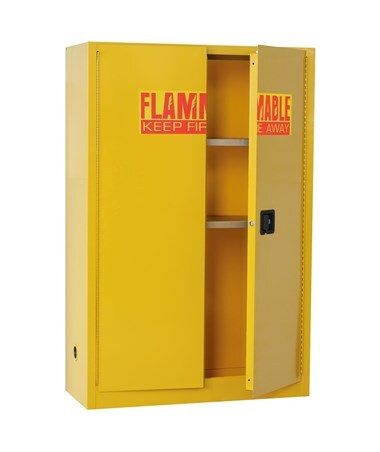 This fire-safe storage unit is made of double wall 18 gauge welded steel, is factory mutual approved, and is GREENGUARD certified. 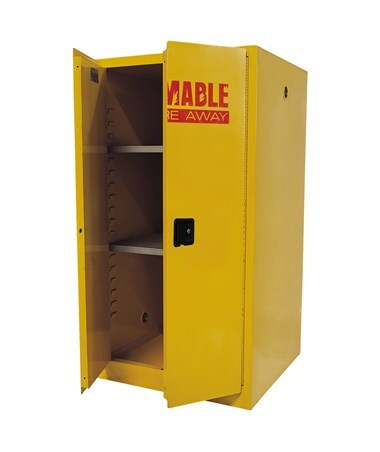 This cabinet also meets NFPA Code 30 and OSHA Standard 1910.106 for storage of Class I, II and III liquids. 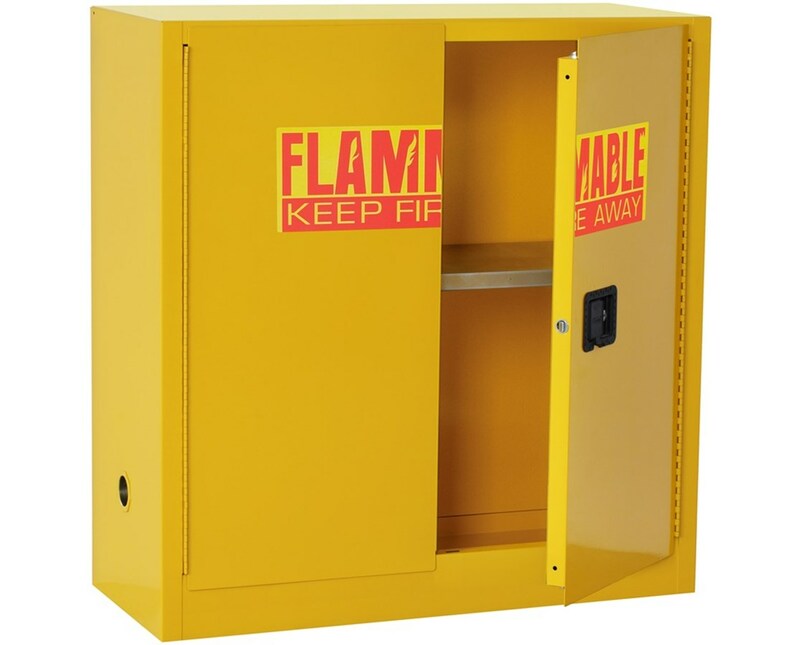 The Sandusky Lee 2-Door Flammable Safety Cabinet is available in three different sizes with different capacities. Please select your preference from the drop-down menu above.